[miningmx.com] – SOUTH32 said its South African manganese mines, held in the Samancor Manganese Joint Venture with Anglo American, will remain closed until it had completed a strategic review in December. Production at the mines was suspended following a fatality at its Mamatwan mine on November 2, the company said. South32, the company created from the demerger of BHP Billiton’s non-core assets in May, owns 60% of Samancor. 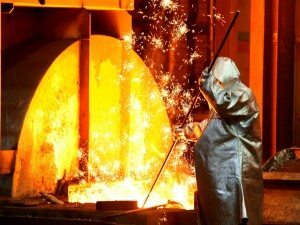 South32 said in June that it would write-down the value of its stake in its Samancor and that it would delay the restart of three of four high carbon ferromanganese furnaces at its Metalloys manganense alloy facilites. Metalloys and the mines are in South Africa’s Northern Cape province. “While production will be significantly impacted in the 2016 financial year, rail and customer commitments will be met by drawing down inventory during this period,” the company commented regarding the suspension of mining activity. “As a major employer in the region, the planned re-configuration of the Samancor Manganese mines in the Kalahari basin is required to secure their longer term viability in an increasingly competitive market,” it said. “The current stakeholder consultation process is continuing and mining activity is likely to recommence in January 2016,” it said. A further update for the joint venture’s South African manganese mines and Metalloys smelter will be provided upon completion of the strategic review. Samancor Manganese is the world’s largest producer of manganese with operations in South Africa and Australia.